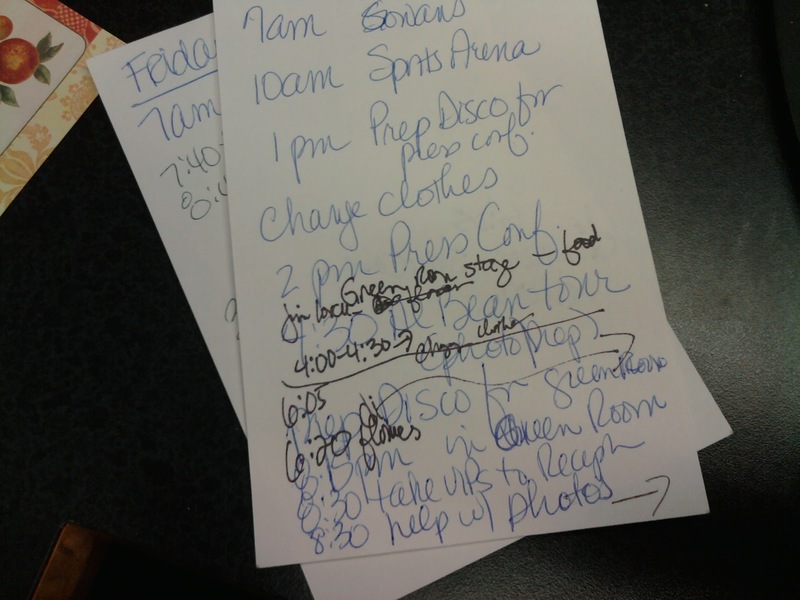 My to-do list for a the day we were doing the Apollo 13 40th Anniversary celebration at the Cosmosphere in Hutchinson, Kansas. I was the PR person at the time. We were fortunate enough to have Jim Lovell, Fred Haise, Gene Krantz, Gunter Wendt and a number of other luminaries attending for the celebration. It was a day to remember. I worked 23 hours that day, and everyone one of them was interesting.